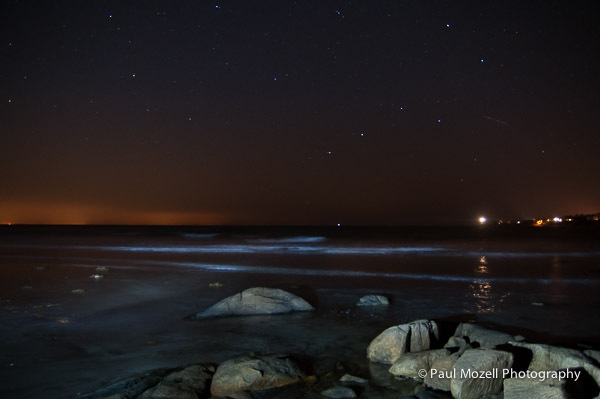 I was alone on Wingaersheek Beach in Gloucester, MA on December 3 hoping to photograph the Milky Way over Ipswich Bay. Instead, I captured the gentle waves, Annisquam light to stage right, and the glow of Newburyport’s abundant city lights on stage left. The exposure was 15 seconds. Click the image for a full-screen view. Feel free to contact me about purchasing signed prints or to license any of my photographs for commercial use. I rushed to catch the sunset tonight from the Annisquam neighborhood of Gloucester, MA. Got there just in time, don’t you think? All content is Copyright 2019 Paul Mozell unless otherwise noted.